In spite of the dedication of considerable resources and manpower, there have been some major intelligence failures in the past seventy years, starting with the inability to anticipate the breakout of the Korean War and including the embrace of false intelligence on Saddam Hussein’s alleged weapons of mass destruction. But the most recent failure is perhaps more consequential than either Korea or Iraq. On March 1st, Russian President Vladimir Putin spoke before his country’s Federal Assembly plus a large group of both local and foreign journalists, outlining his plans for the economy and also dealing with other domestic issues should he be reelected later this month. The final third of the presentation was on national defense and, in its substance, was clearly directed at a global audience, particularly the United States. He was referring to the RS-28 Sarmat ballistic missile, which has almost unlimited range and ultra-high speed, enabling it to employ trajectories including strikes coming over the South Pole that can defeat existing American Anti-Ballistic Defense systems. Russia has also produced and deployed a hypersonic glider weapon system Avangard. But the real game changer is the Russian ability to negate America’s ability to project power through its navy. 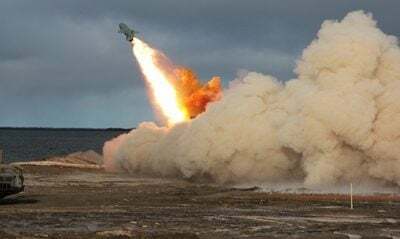 The already deployed air-launched Kinzhal anti-ship missile has a range of 2000 kilometers and a hyper-sonic speed that makes it nearly impossible to intercept. The development has made America’s thirteen aircraft carrier groups obsolete. President Putin made clear that Russia now has an overwhelming military advantage in cruise and ballistic missiles that are capable of penetrating U.S. defenses. The new reality may or may not impel policymakers in Washington to approach Moscow and seek a new round of negotiations for arms control, but the real shock deriving from the Putin announcement is the failure of the intelligence community to anticipate the developments and advise their significance. Some of the new systems were hardly secret, with development of the Sarmat, for example, known to western governments for a number of years. There will no doubt be a blame game in Washington over the inability to learn of Russia’s arms programs, but the questions that probably will not be asked relates to the intelligence agencies themselves and their capabilities, or lack thereof. It is no secret that organizations like the Central Intelligence Agency (CIA) have seen their basic missions change since 2001. An organization that used to pride itself on its ability to conduct classic espionage operations involving recruiting and running spies suddenly heard from policymakers that those skills were no longer in demand. Many officers who were made redundant or forced to retire were precisely those individuals who had cut their teeth on running operations directed against the old Soviet Union. They had the language and cultural skills necessary to collect information on Russia. With their departure, those capabilities also largely vanished. So, has America learned that its intelligence agencies are doing all the wrong things and that the national defense strategy is unsustainable because the Russian-American relationship is now on a new footing? Possibly, but it is perhaps more likely that Washington will avoid asking the hard questions. Philip M. Giraldi, Ph.D., Executive Director of the Council for the National Interest.